The refusal of the government from the reforms policy and the growth of the reaction provoked the appearance of the first Russian revolutionary movement, which was composed of the progressive-adjusted militaries from the liberal layers of the nobility. The patriotic war was one of the sources of origin of 'the free thinking in Russia". In 1814-1815 were created secret officers organizations (the Union of Russian knights, the Sacred artel, the Semenov's artel). Their founders (�.F.Orlov, M.A.Dmitriev-Mamonov, A. and M.Muravyevs) counted inadmissible the preservation of the serf condition of peasants and the soldiers who accomplished civil feat during Napoleon's invasion. In February 1816, the Union of rescue was created in St Petersburg. 30 patriotically adjusted young militaries entered that centralized secret organization. In one year the Union "status", the program and the charter were approved, after that the organization began to be called 'the Society of true and faithful children of the Fatherland". The purpose of the struggle was the destruction of the serfdom and the establishment of the constitutional system. These requirements were supposed to be presented at the moment of change of the monarchs on the throne. In 1818 a special commission (S.P.Trubetskoy, M. Muraviov, P.P.Koloshin) elaborated a new charter named of the color of the book-cover " he Green Book". The first secret society was liquidated and the Union of prosperity was created. Ultimate goals of the Union were the political and social revolution. Soon in the Union of prosperity there were about 200 members. Educational societies of semi-legal character were formed around the Union. However the dissatisfaction of the educational activity in conditions of growth of peasants' revolts, the agitations in the army and the revolutionary events in Europe conducted to the radicalization of a part of the Union. In January 1821, the congress of the Radical board took place in Moscow. It declared the Union of prosperity "disbanded", in order to facilitate the elimination of the "untrustworthy" members acting against violent measures. Immediately after the end of the congress, the secret Northern and Southern societies uniting supporters of armed revolution was created and prepared for the revolt of 1825. After the liquidation of the Union of prosperity, a new secret society at once was created, the Northern, which basic nucleus was initiated by N.Muraviov, N.Turgenev, M.Lunin, S.Trubetskoy, E.Obolensky and I.Pushchin. It was possible to judge the program of Northern society through the constitutional project of Muraviov. Russia became a constitutional-monarchic state. The Federal division of the country into 15 "powers" was introduced. The power was shared by the legislative, executive and judicial. The supreme legislative organ was the two-chamber National veche, elected for a period of 6 years on the basis of a high property qualification. The two-chamber veche, elected for a period of 4 years, was the legislative power.The executive power belonged to the Imperator.The judicial power was in the hands of the Supreme Court. The Class build was cancelled, proclaiming civil and political freedoms. The project of Muraviov was discussed in the Northern society, but did not become the document expressing views of all the members of society. A more radical current, leaded by Kondraty Fedorovich Ryleev (1795-1826) became more and more powerful. K.F.Ryleev adhered to republican views. The most intense activity of the Decembrists organizations took place in 1824-1825: the preparation for the opened armed revolt was going on, a great work was being done for the coordination of political platforms of the Northern and Southern societies. In 1824 the decision to prepare and carry out the unification of the congress and a military revolution the summer of 1826, was accepted. In the second half of 1825, the forces of Decembrists increased: the Southern society of unified Slavs joined the Vasilkovskaya board; it was created in 1818 as a secret political "Society of the first agreement"; in 1823 it was transformed to the Society of the United Slavs, which intended to create a powerful republican democratic federation of Slavic peoples. In May 1821 the Emperor knew about the plot of Decembrists: they informed about the plans and the structure of the Union of prosperity. But Alexander I just said two words: "It is not my duty to execute them". Alexander's I sudden death changed the plans of conspirators and forced them to act before the planned term. Cesarevich Konstantin was considered a successor of the throne after Alexander I. His letter to the emperor about a voluntary renunciation the 4th of January 1822 and the manifest of the 16th of August 1823, proclaiming the rights of grand duke Nikolay Pavlovich on the Russian throne, were kept in secret. Under the insistence of the dignitaries not knowing the secret of the 27th of November 1825, the armed forces and the population were submitted to the oath to emperor Konstantin I. Only the 12th of December 1825, official confirmation of renunciation of the throne came from Konstantin , who was living in Warsaw. The manifest about the accession of emperor Nikolay I immediately followed and the ceremony of inthronization was fixed on the 14th of December 1825. The interregnum displeased people and army. The moment for realization of plans of secret societies was extremely favorable. Besides it, Decembrists knew that the government received a report about their activity, and the 13th of December, Pestel was arrested in Tulchina. The plan of revolution was approved during the meetings of the members of the society in Ryleev's apartment in St. Petersburg. Crucial importance was given to the success of the demonstration in the capital. In the south of the country, the armies were supposed to act simultaneously in the 2nd army. One of the founders of the revolt, S.P.Trubetskoy, the colonel of the guards, participant of the war of 1812, known and popular among the soldiers, was elected dictator of the revolt. The 14th of December, it was decided to introduce the armed forces in the Senatorial area in order to prevent the oath of the Senate and the State council to Nikolay I and from their name to promulgate " the Manifest to Russian people ", proclaiming the cancellation of the serfdom, freedom of a seal, conscience, employment and movement, and also the introduction of a general compulsory military service instead of recruitment by force. The government appeared deposed, and the authority passed to the provisional Government until the acceptance by a representative of the Great Council of the decision concerning the form of board in Russia. The imperial family should be arrested, the Winter palace and the Peter and Paul Fortress were supposed to be occupied with the help of armies, and Nikolay was supposed to be killed. But it was not possible to execute that plan. A.I.Yakubovich, who should command the sea Guards crew and the Ismailov regiment, while capturing the Winter palace and arresting the members of the imperial family, refused to carry out this task from fear to become the initiator of the tsar's murder. The Moscow's gentleman-at-arms regiment, joined later by the sailors and the Life Guards (about 3 thousand soldiers and 30 officers), appeared at the Senator's square. While Nikolay I pulled the army to the square, general Miloradovich addressed to the revolutionists a message in which he asked them to break-up, and he was deathly wounded. It was soon found out, that Nikolay had already received the swears of the members of the Senate and the State council. It was necessary to change the plan of revolt, but S.P.Trubetskoy, called to supervise the actions, at the decisive moment showed cowardice and didn't appear at the square. Towards evening, the Decembrists chose a new dictator, the prince Obolensky; but time was missed. Nikolay I, after several unsuccessful attacks of the cavalry, ordered to shoot the insurrection forces with case-shoot of guns. That day, 1271 persons were killed, and the majority of victims (more than 900 persons) were curious and sympathizing people who met up at the square. The 29th of December 1825, S.I.Muraviev-Apostol and M.P.Bestuzhev-Rumin could lift up the regiment of Chernigov standing in the south, in village of Trilesy. The governmental armies were directed against the revolutionists. The 3rd of January 1825, Chernigov regiment was crushed. 579 officers were involved in the investigation supervised by Nikolay I himself; 280 of them were recognized guilty. The 13th of July 1826 K.F.Ryleev, P.I.Pestel, S.I.Muraviev-Apostol, M.P.Bestuzhev-Rumin and P.G.Kakhovsky were hung up. Other Decembrists were degraded, banished to hard labours in Siberia and in the Caucasian regiments. The soldiers and sailors (2,5 thousand persons) were judged separately. Part of them was sentenced to punishment by rods (178 persons), sticks and birches; the others were sent to Caucasus in a field army and to Siberia. The main task of the foreign policy of Russia in the beginning the XIX century was the containment of the French expansion in Europe. Paul's I attempt to achieve it by the rapprochement with France in a simultaneous break of relations with England was not crowned by success. Alexander's I first steps were directed to the normalization of Russian-English relations: an order was given to return back the Cossack regiments of ataman M.N.Platov, and the 5th of June 1801, Russia and England signed a convention of mutual friendship, directed against France. Simultaneously Russia was negotiating with France, and signed the 26th of September 1801 a peace agreement. The final disintegration of the 2nd anti-French coalition in connection with the signing of a peace Anglo-French contract allowed Alexander I to take care of the internal problems. However by 1804, the expansionist policy of France in the Near East and in Europe again deteriorated its relations with Russia. After the execution of a member of the French royal family called duke Engiensky by Napoleon (March 1804), Russia, in May 1804, broke off diplomatic relations with France. Under the initiative of England and with the active participation of Russia, by July 1805, the 3rd anti-French coalition (England, Russia, Austria, Sweden) was created. Russia interested Napoleon first of all as an ally against England. The 25th of June (the 7th of July) 1807, the Russian-French peace contract of friendship and union was signed in Tilzit. Russia recognized all the gains of Napoleon and his imperial title, did a union with France, and undertook to break diplomatic relations with England and to join the continental blockade. At the borders of Russia, in the territory of former Prussian possession, the duchy Warsaw was formed under the influence of France. The Belostok area passed to Russia. France became the intermediary in the end of the Russian-Turkish conflict, but Russia was supposed to remove its armed forces from Moldova and Walachia. As a whole, despite of defeat in war, Russia did not lose and kept some independence in the European affairs. But Tilzit peace rendered a crushing blow on the economy of Russia and contradicted its interests in the eastern question. By the moment of signing peace with Napoleon, Russia conducted wars with Iran and Turkey. The Russian-Iranian war, because of disputable territories, began in 1804. In 1804-1806 Russian armies occupied territories to the north from the river Araks (Baku, Cubin, Gandzha, Derbent princedoms etc.) The Gulistan peace treaty of the 12th of October 1813 confirmed these possessions to Russia. In December 1806, the Turkish sultan supported by Napoleon, declared war to Russia in hope to return back Crimea and Georgia. In the summer of 1807, Russian armies repulsed the Turkish approach in the Danube princedoms and in Caucasus. The Black Sea fleet under the command of admiral Senyavin won in the Dardanelles and Aphonia sea battles. Russia gave a military help against the dominion of the Turks on the Serbians. On the Caucasus Russia occupied Abkhazia and Guria. The war with Turkey delayed, as the basic forces of the Russian army were on the western border. In 1811 M.I.Kutuzov became the commander of the Danube army. After the successful operation of the Russian armed forces at Rushuk (15 thousand Russian against 60 thousand Turks), Turkey was compelled to go on peace talks. By Bucharest peace treaty of the 1st of May 1812, Bessarabia, Abkhazia and a part of Georgia were supposed to join Russia. Turkey recognized the right of Serbia to internal self-management. Using the situation that prevailed after Tilzit, Alexander I began war with Sweden. In the night from the 8th to the 9th February 1808, the Russian corps under the command of Buskgevden (24 thousand persons) crossed the border with Finland. After long military actions, Sweden under the Friedrichgam peace treaty (September, 5, 1809) conceded to Russia all Finland together with Aland islands. the economic relations between Russia and France advanced poorly and could not replace the Russian-English economic relations. Alexander I considered the union with Napoleon as provisory and compelled measure; however Napoleon tried to strengthen his relations with Russia. At a meeting in Erfurt in September-October 1808 he could not incline Alexander I to a closer cooperation. Though formally Russia participated in the war of Napoleon with Austria in 1809, its armies did not participate in military actions. Alexander's I refusal to agree with the marriage of Napoleon to his sister Ekaterina in 1808 and to Anna in 1810 did not promote the improvement of relations between allies. In December 1810, Napoleon, having broken the Tilzit agreement, attached to the empire a number of German princedoms and among them the duchy Oldenburg. increased the military budget, increased armed forces, and ordered a diplomatic preparation for war. By the end of 1811, Napoleon increased the number of his armies almost up to one million persons. He forced the crushed Austria and Prussia to enter with him in union against Russia (February - March 1811), and also expected a support of Sweden and Turkey, having territorial claims to Russia. The number of the Russian army reached 975 thousand persons, in its military preparation experience were taken into account Napoleonic fights, traditions of great Russian commanders of the XVIII century Rumyantsev and Suvorov. The Russian artillery was the best in the world. The Russian diplomacy won, having concluded in the spring 1812 two important contracts: in the north with Sweden, and in the south with Turkey. The 1st of January 1813, the Russian armies crossed Neman and soon reached Vistula and Oder. In February Prussia joined Russia, in April the forces of allies were on Elba. In May Napoleon who collected a new army, repulsed the allies to Oder. In July, the forces of the coalition increased because of the unification with Austria and German princedoms. But in the battle near Dresden (the 14th -15th of August), Napoleon turned into flight his opponent possessing a numerical superiority. The 4th -6th of October in "fight of peoples" near Leipzig (220 thousand allies, 175 thousand French) the army of Napoleon was broken. Losses reached 65 thousand in the French army and 54 thousand in army of coalition. The 19th of March 1814, after a number of bloody battles, the allied army with the 6th anti-French coalition (England, Russia, Austria and Prussia) entered Paris. Napoleon abdicated and was banished to Elba Island in the Mediterranean sea. The congress of allied forces took place in September 1814 and June 1815 in Vienna. Serious contradictions between them caused a long secret struggle. News about flight of Napoleon to Elba and the temporary capture of the power by him in France ("Hundred days") unexpectedly sped up the achievement of the consent. Under the final act of the Viennese congress (the 28th of May 1815) Russia received Finland, Bessarabia and the territory of the former duchy of the Warsaw Empire called the Polish kingdom, unified with Russia through a dynastic union. The 6th of June 1815, Napoleon was broken in Waterloo by the incorporated forces of allies and banished for life at the Island St Elena in the Atlantic ocean. For the maintenance of the new European order under Alexander's I initiative Russia, Austria and Prussia concluded the 14th of September 1815 Sacred Union, proclaiming the unification of Christian monarchies and their citizens. The recognition of the firmness of existing European monarchy was the basis of the union. Soon the Sacred union was adjoined almost by all European governors (England, Vatican and Turkey) were the exception due to the formal order). At meetings and congresses of the Sacred union in Aachen (1818), �roppau and Laibakhe (1820-1821), Vienna and Verona (1822), decisions were taken, allowing managing with the revolutionary wave, which swept on Europe. The force of weapons suppressed the revolutions in Italy and Spain. Trying to strengthen its influence in the East, Russia wanted to use the Sacred union for the support of Slavic people and Greeks in their struggle against the Muslim Turkey, but it was counteracted by England and Austria. The situation aggravated in the spring 1821 with the beginning of the Greek revolt under A.Ipsilanti , an officer of the Russian army. From fear to weaken the Union, Alexander I did not dare to assist insurgents, but in July 1821 he broke off diplomatic relations with Turkey. In the beginning of the XIX century, the system of national education was reconstructed in the basis of transformations approved in 1803. The situation concerning the structure of educational institutions. The European part of the country was divided into six educational districts with four categories of educational institutions: church-parish schools, district schools for the townspeople, merchants and bourgeois, grammar school in the provincial cities and universities for noblemen. The maintenance of the schools was assigned to city controls, landowners and state peasants. It was planned to establish continuity in the system of education. But in 1804 the interdiction to accept children of serfs in grammar school followed. In 1802 was formed the Derptsky university. In 1804 new universities in Kazan, Kharkov and Vilno appeared. In April 1804, the Pedagogical institute of St. Petersburg (in 1819 was transformed into university) opened. The university charter (1804) gave autonomy to the Russian universities; they became the centers of training of the pedagogical staff and methodical work in educational district. In 1811 in the Tsar's Village, under M.M.Speransky's initiative, lyceum, privilege-exclusive closed educational institution for noblemen, was opened. Among its first graduates were A.S.Pushkin, I.I.Pushchin, A.A.Delvig, A.M.Gorchakov, V.K.Kyuhelbek-ker etc. Lyceums appeared in Yaroslavl, Nezhin, and Odessa. During the period of the Arakcheevshina, the reaction also fell upon the sphere of education. In 1817, the ministry of national education was transformed into the Ministry of spiritual affairs and national education; all affairs concerning creeds, apart from the Spiritual Court, joined it, coming from the Synod. Being at the head of the Ministry of Synod prince A.N.Golitsyn, the "servile soul" and "education ruiner", (A.S.Pushkin's characteristic), proposed to Alexander I to close all the universities, except the Moscow one. The emperor gave the instruction not to close them, but "to correct them", and set religious principles at the basis of the education. In the course of "correction" doubled "unreliable" and "ill-intentioned" professors, 'bad' books were withdrawn, the disastrous materialism was withdrawn from teaching, theological faculties were established, for students was introduced the barracks discipline. A real chaos in the Kazan university was initiated by the member of the central administrative Board of schools, M.L.Magnitsky, "ministry of eclipse" (by N.M.Karamzin's expression). With his participation the new instruction for the universities (1820), in which the main task was the education, convinced the students in the firmness and the divine origin of the monarchic authority. In 1821 the Petersburg university "was cleared". The basic role in book publishing and book-trade in the beginning of century was played by printing houses: in 1813 were 55 state and the number of private printing houses in the country grew. The first large publishers appeared. The number and the influence of periodicals, including political magazines grew. The first of them was "Bulletin of Europe" of Karamzin. From 1812 in St. Petersburg the hysterical and political magazine "Son of Fatherland" began to be published. In 1814 was opened the first Public library in St. Petersburg, which became a national book-depository. The first quarter of the XIX century was marked by the increase of interest in problems of Russian language: the formation of Russian literary language began, the scientific terminology extended. In 1804, branches of literature appeared at the universities. "The Dictionary of the Russian Academy", the first dictionary of Russian, was issued. The huge merit in reforming Russian literary language belonged to Nikolay Mikhailovich Karamzin (1766-1826). The followers of Karamzin created a literary association "Arzamas" (1815 - 1818), which entered V.A.Zhukovsky, P.A.Vyazemsky, K.N.Batushkov, S.S.Uvarov, V.L.Pushkin, young A.S.Pushkin etc. In Vasily Andreevich Zhukovsky's creativity (1783-1852) features of romanticism, the mainstreams in the Russian literature of the first decades of the XIX century were brightly showed in. One of the most talented poets of this epoch was Konstantin Nikolaevich Batushkov (1787-1855), Russian romanticism. The turning point in his creativity became patriotic war of 1812 and the participation of the Russian army in foreign campaigns. Alexander Sergeevich Griboedov (1795-1829) enjoyed great popularity. In 1809, the first collection basen of I.A.Krylov (1769-1844) appeared. The theatre played more and more appreciable role in the public life. Tragedies of V.A.Ozerov knew a tremendous success (1769-1816); they were written on historical plots and distinguished by political actuality ("Yaropolk and Oleg", "Dmitry Donskoy" etc.). I.A.Krylov's and �.�.Shakhovsky's plays (1777-1846) were very popular and showed the derision-customs of the nobility. At the capital theatrical stage acted I.A.Dmitrievsky, A.S.Yakovlev, P.S.Mochalov, M.S.Shepkin, E.S.Semenova. In 1824 in Moscow the Maly theatre, and in 1825 the Bolshoy opera and ballet theatre also opened. Serf theatres occured in province, replacing absent professional theatres. The serf-theatre of Earl Kamensky received a great popularity in 1815, and also the serf theatre of Gladkov in Penza. The development of musical culture in the beginning of the XIX century was based on the traditions of chamber-vocal music of the end of the XVIII century. The most important place in it belonged to the romances of A.A.Alyabyev A.N.Verstovsky, M.I.Glinka and other composers. The Russian romance became that musical form, on the basis of which the national Russian opera was created. In the beginning of the XIX century, painting alongside with classicism and its mythological and bible plots, the romantic direction appeared, with interest inherent to the person, the internal world of the person. It caused the development of the portrait genre. A remarkable gallery of portraits was created by O.A.Kiprensky, V.A.Tropinin, V.L.Borovikovsky. In the 20s A.G.Venitsianov's pictures, who became one of the first Russian artists paying attention to the image of simple people and to the theme of rural life. The Russian monumental sculpture, developing in the atmosphere of classicism, at the boundary of the XVIII and XIX century experienced a new rise. It is illustrated through the products of M.I.Kozlovsky (A.V.Suvorov's monument in St. Petersburg) and I.P.Martos by the project of 1818, under which was erected the monument of Minin and Pozharsky in the Kremlin. The beginning of the XIX century became the period of bloom of the Russian empire style in architecture. In St. Petersburg, the building of the Kazan cathedral (A.N.Voronihin), Admiralty (A.D.Zaharov) were erected. In Moscow at that time was constructed the Golitsyn hospital (M.F.Kazakov), under A.A.Mikhailov's project, elaborated again by O.I.Bove; the building of the Bolshoy theatre was restored. Zhilyardy reconstructed the old building of the Moscow university, which suffered of fire. For the Russian science the beginning the XIX century was a period of professional training, accumulation of knowledge, acquaintances to the European achievements, expansions of the scientific terminology. Discoveries in the field of physics by the professor of Petersburg medico-surgical academy V.V.P�r�v (1761-1834), action of galvanic current, electric arch (1802), put in pawn bases of electrochemistry and electrometallurgy in Russia, cleared the way to opening of the law of preservation and transformation of energy. Scientific chemists in 1805-1818 developed the theory of electrolyze. The geographical discoveries of the Russian scientists-travellers had huge value for the Science. In 1803-1806. U.F.Lisyansky (1773-1837) and I.F Krusenstein (1790-1846) made the first in the history of Russia travel around the world. The biological science successfully developed, researches of flora and fauna were done, and it promoted the opening of the Nikitsky botanical garden in Crimea (1812), the Botanical museum and the Botanical garden in Moscow (1824). Achievements in historical science were significant. The creation by N.M.Karamzin of 'History of the Russian State' in 12 volumes was the major landmark. The military preparations of the French army were completed in March 1812. The "Great army", assigned for a campaign to Russia, was composed of 647 thousand persons and 1372 guns. Huge warehouses and transports were prepared. French were only half of that army, into which entered the representatives of the nations won by Napoleon. The 448-thousand grouping was the first echelon of the French forces, which entered the Russian territory. "The great army" was headed by Napoleon; among his marshals were L.Davu, M.Nei, I.Murat, U.Ponyatovsky. At the western border of Russia were standing 214 thousand persons divided into three armies and three corps: the first army under M.B.Barklai De Tolli's command (120210 persons) was in the area of Vilno, covering the Petersburg's direction; the 2nd army (49 423 persons), in the area of Belostok, in the Moscow direction; the 3rd army (44 180 persons) in Lutsk, in the Kiev direction; near Riga was the corps of N.N.Essen (38 077 persons), two more corps were standing in reserve at the second line. The corps of F.F.Steingel in Finland and P.V.Chichagov's Danube army in the south covered flanks and did not take part in military operations at the beginning of the war. The moral spirit of the Russian army was extremely high. Apart brilliant military leaders Barklai De Tolli and Bagration, the armies were commanded by talented generals D.S.Dokhturov, A.P.Ermolov, P.P.Konovnitsyn, M.I.Platov, N.N.Raevsky etc. Barklai De Tolli, being the military minister, became the Commander-in-chief of the army. The 12th of June 1812 Napoleon crossed Neman and entered the Russian territory. He expected to surround and break two Russian armies but Barklai, following his plan, began a deviation, moving to the connection with the army of Bagration and making rearguard fights. The 22nd of July Russian armies were unified in Smolensk. Having repulsed series of attacks of the French army, the Russian armed forces, the 6th of August, under the command of Barklai De Tolli continued to retreat. The plan of Napoleon, intending to crush Russian armies separately in frontier battles and to compel Russia to the conclusion of peace on his conditions, fell. The war was delayed, the losses of "Great army" grew, its supply worsened. On the occupied grounds the wave of the guerrillas movement rose. From Smolensk, Napoleon sent to Alexander I a peace proposition, but did not receive the answer. Napoleon continued the approach to Moscow following Russian armies hoping for decisive battle. The unsatisfaction due to the long retreat and the growing mistrust of Barklai De Tolli in the army and generally in the Russian society forced the emperor, the 8th of August, to appoint as commander-in-chief M.I.Kutuzov, an experienced and cautious commander. Kutuzov started the preparation for the decisive battle, for which the Russian army receded at the position near the village of Borodino, in 110 versts from Moscow. There, on the 26th of August (the 7th of September) took place the battle that played a decisive role on the issue of the war. After a fight proceeding all the day, Frenchmen (133800 persons, 587 weapons) could occupy the positions of the Russian army (154800 persons, including about 30000 civil guardsmen, 640 weapons), but did not crush it. The losses of the French Army were estimated at 28 thousand, Russian - 45,6 thousand persons. Napoleon managed to save its reserves (20 thousand); the reserves of the Russian army almost exhausted. Kutuzov could not crush the French army nor stop its approach; but despite of heavy losses, the Russian army was rescued and could continue its campaign. The 27th of August, Kutuzov gave the order to continue the retreat in the direction of Moscow. Napoleon, hoping for new battle, was moving after. The 1st of September, at the military council situated in a village near Moscow Fili, Kutuzov took up the responsibility for the heavy decision about the leaving of the ancient capital without fight for the sake of the army. Leaving the city, Kutuzov and the Moscow general-governor F.Rostopchin ordered to burn warehouses. The 2nd of September, Napoleon entered Moscow left by inhabitants, and in the evening the city burst into fire in different places. The fire that covered all Moscow, destroyed stocks of the foodstuffs and arms; 70% of buildings burned. Three times Napoleon proposed to Alexander I to start peace talks, but he did not answer him. Napoleon could not stay in the devastated city during the winter; that is why Napoleon and the French Army left Moscow on the 7th of October. Kutuzov, camping in Tarutino, near Moscow, was preparing for a counterattack. The 6th of October, Kutuzov began a counterattack against the army of Napoleon, expecting to go to the winter apartments at the western border of Russia. The 12th of October 1812, as result of a bloody battle in Maloyaroslavets, Napoleon was compelled to recede along the ruined Mozhaisk's road to Smolensk. Famine, strong frosts, constant impacts of the Russian army on the French army transformed their retreat into flight. But it was not possible to completely destroy the former "Great army". Napoleon guessed the plan of �u�uzov to surround the French army at the river Berezina, built a false passage and the 14th-16th of November passed the river in another place, lost 50 thousand persons, but saved marshals, generals and its guards (9 thousand people). The 23rd of November Napoleon abandoned the rests of the army and secretly left for Paris. The 28th of November, Russian armies finished their counterattack, and the 25th of December 1812, Alexander's I manifest announced the final expulsion of the aggressors from the territory of Russia and the victorious end of the patriotic war. The evolution of the state-political and legal system of Russia. On the 12th of March 1801, as a result of palace revolution, Alexander I came to the Russian throne (1801-1825); he was the senior son of Paul and the princess of Wurtemberg who converted to the orthodoxy and took the name of Maria Fedorovna. Paul's I murder not only made Alexander the accomplice of a terrible crime and forced him all the life to be tormented by remorse, but also showed him his own vulnerability, being inspired by a deep fear to be the next victim of the revolution. Becoming the autocratic head of the big empire, Alexander I showed himself as a cautious, flexible and far-seeing politician, able to hide his real believes and predilections, extremely circumspect in his reformatory activity. The first steps of the new emperor justified hopes of the Russian nobility and testified the break with a policy of the previous reign. In the manifest on the accession to the throne Alexander I declared that he would reign "by the laws and the heart" of his grandmother Ekaterina the Great. The 13th and the 15th of March followed decrees about amnesty of the persons who were submitted to persecutions under Paul's I reign, about the removal of restrictions on the trade with England. The interdiction of the activity of private printing houses and import of books was annulled on the 31st of March. The 2nd of April the emperor confirmed the Granted letters to nobility and cities in 1785 and abolished political police, that is the Secret expedition of the Senate. At the same time Alexander I, getting the support of guards, rejected offered by P.A.Palen, P.A.Zubov, and other conspirators projects limiting the autocracy by the nobility-oligarchical constitution. The 30th of March 1801, instead of it appeared a decree about the establishment of the Permanent council, law-council body of state. All the basic work about the preparation of the transformations, conceived by Alexander, were concentrated in the Permanent committee existing from May 1801 till November 1803. The main task of the committee was "the regular work on the reform of the ugly building of the administration of the state". After consideration in the Private committee, the imperial decree of the 8th of September 1802 carried out the reform of the supreme official bodies. The reform of the Senate was simultaneously carried out. But in March 1803, Alexander I deprived the Senate of the rights of presenting its remarks on all future laws. Ministerial reports began to act in Committee of ministers, and the Senate was actually reduced to its former position. Alexander's I steps were extremely cautious in the solution of the peasants problem. The emperor and the members of the Secret committee, considering the serf relations as a source of social tension, were convinced of the advantages of free work before the serf and perceived the authority of the landowner over peasants as moral shame for Russia. The decree of the 12th of December 1801, allowing trades people and bourgeois to own the land, who henceforth could buy the unoccupied lands. The distribution of the state peasants to private hands stopped at the beginning of the reign of Alexander I. The reforms in the field of education and press were more successful. The 24th of January 1803, the new position about the structure of the educational institutions was confirmed. In 1803, the minister of the national education was supposed to supervise the creation of a unique educational system. The reforms of the first period of the reign of Alexander I (1801-1804) had rather limited character, but they enough strengthened his position as the autocratic monarch, being the result of the compromise between the liberal and conservative nobility. From autumn of 1803, Alexander I began to examine the major questions of the government, mainly in the Committee of ministers; the value of the Secret committee began to fall, its sessions were carried out rarely. To continue the reforms, Alexander I needed new people not so closely connected to the top the Russian aristocracy, and devoted to him personally. In May 1803, Alexander called to Petersburg and reinstalled A.A.Arakchev as the inspector of all the artillery. In 1803, Arakchev was appointed with the right to promulgate its own decrees at the name of Alexander I. However, the basic direction of the activity of Arkhachev was the army and the police, and the person in charge of the elaboration of the future reform was absolutely another person M.M Speransky. The situation of the foreign policy obliged the imperator to distract from reforms works. Unsuccessful and ruinous wars of 1805-1807, the humiliating for Russia peace treaty of Tilzit with France (1807), undermined Alexander's I prestige and caused the extreme discontent not only of the nobility's Fronde (existing from the first years of reign of Alexander I), but also merchant classes. To stop the opposition moods in the society, the emperor in 1805 reestablished the Secret expedition, and its functions were transferred to the Committee in charge of the supreme police. All the population of Russia, under M.M.Speransky was divided into three estates: the nobility, "the medium" (merchants, bourgeois, the state peasants) and "workers" (serfs, artisans, servants). All estates received civil rights, and the two first received political rights. From the estate of "the working people" it was possible to pass to "the medium", acquiring real estate. Speransky offered to carry out reform in some stages, not declaring at once about ultimate goals of the transformations, and to finish it by 1811. The 1st of January 1810, the manifest on the abolition of the Permanent council and the creation of the State council, in which entered 35 supreme dignitaries of empire, was declared. The financial reform elaborated by Speransky and carried out by the State Council in 1810, had the most practical value in the large project of transformations. After the refusal of the State council in the beginning of 1811 to ratify the project of the rather moderated reform of the Senate, the failure of the plan of Speransky became evident. The step by step character or the graduality of the reform could not save the situation: the nobility clearly saw the danger of the abolition of the peasants rights. The growing opposition of conservatives, there were people from the nearest environment of the king, got so menacing character that Alexander I again appeared in front of the danger of nobility's conspiracy. The personality of the reformer-commoner became the subject of the particular detestation, intrigues and denunciation of the supreme autocracy. "The Note about ancient and new Russia in its political and civil relations' composed by N.M.Karamzin, and offered to the Imperator by his sister Ekaterina in March 1811, became the ideological theoretical substantiation of the nobility's opposition. Karamzin considered the autocracy as the indispensable condition for the powerfulness and prosperity of Russia. Being subjected to a sharp criticism, all the Speransky's innovations, at the opinion of historian "any innovation in the state's order is wrong", therefore reforms and "patriarchal authority" are not necessary for the country. Alexander I, understanding that the discontent of his internal policy covered the large circles of the society, in the conditions of deterioration of the foreign situation, decided to sacrifice Speransky, and in March 1812 removed him from his post. Speransky was banished to Nizhny Novgorod, and then to Perm, under the supervision of the police. The reforms of the state-political structure in Russia after 1814. The external events of 1812-1815 displaced the internal-political problems of Russia to the 2nd plan. After the end of the war, the question of reforms of the state structure and serf relations appeared at the center of attention of the people and emperor. Experiment in the unification of the autocracy with the constitutional principles was the gift by the tsar Alexander I of the constitution to the Kingdom of Poland. The emperor, who wrote the project himself in November 1815, announced that he hoped to expand 'free-law establishments" all over the countries that were faithful to him. For the first time since the beginning of the reign of Alexander I, the social support of the transformations came out: whole generation, educated under reforms ideas, grew. The campaigns of the Russian army out of the country had a great value in changing the political moods in the society; and those soldiers, after coming back home, needed changes for a better life. In April 1818, Alexander I established an autonomous government in Bessarabia. The supreme legislative and executive authority was transferred to the Supreme council, which decisions were final. Finland, after having joined Russia in 1808, had a constitution and its own four-class Seym. Finland existed as an autonomous state in the Russian empire and lived by its internal laws. In 1818, Alexander I charged Novosiltsev to prepare the project of the Russian Constitution. The prepared and approved by the emperor document 'The state official document of the Russian empire' provided the establishment in Russia of constitutional monarchy.The legislature divided between the emperor and the State Seym, which consisted of two chambers: the higher (the Senate) and lower (ambassadorial chamber). No law could be accepted without discussion in the Seym, which had the right of veto. The legislative initiative was kept only for the emperor, being at the head of the executive power. As a whole, the project had a more conservative character, than the Polish Constitution of 1815. The sovereignty of the emperor (instead of people) was the main source of any authority in the country. Nobility's privileges were kept, and the serfdom was not mentioned at all. Meanwhile the unsolubility of the peasants question after the war was an alarm for the ruling circles. From 1815 to 1820, the emperor received 11 projects about conditions of liberation of the peasants, conditions made by authors both under his order or by its own initiative. The common principle to all projects was the principle of gradual cancellation of the serfdom. One of the elaborators was earl A.A.Arakcheev. He proposed to carry out the liberation of the peasants under the direction of the government, which should buy up manor houses on means of the state budget. Peasants should receive at their liberation a lot at the rate of two dessiatinas per person. But this project was impracticable because of the limited budgetary funds, but the tsar approved it. Changes in the situation of the peasants during Alexander's I reign took place only in Baltic. In May 1816, the emperor signed "The situation of East-Land peasants', through which they received a personal freedom, but the land remained the property of the Landowners. Peasants could rent the land, and finally buy it. However Alexander's I reformatory intentions both in constitutional and in country question were replaced by frankly reactionary rate. Alexander I considered that peasantal Russia was not capable to understand and accept the constitutional system of government. Distempers in military settlements, the revolt of the Semenovsky regiment and the wave of the European revolutions of 1820-1821 finally convinced him of the inopportuneness of any reform. During the last years of his reign, Alexander I was little engaged in internal affairs, paying the basic attention to the problems of the Sacred union. From that moment, the government of the country was actually focused in the hands of the omnipotent favorite, by his name the regime was called arakcheevshina (1815-1825). A.A.Arakcheev was not the inspirer of reactionary rate at all, and only the zealous executor of monarch's will. In 1808, he received the post of military minister, and Alexander confided him the task to improve recruitment and the training of front structure of the army, to increase discipline, to reorganize artillery, to adjust the fighting capacity of the Russian army. 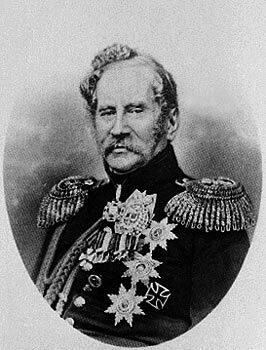 After the war, Alexander's I trust to Arakcheev so increased that he confided him the execution of the highest commands not only in military, but also on civil questions. Since 1815 Arakcheev was almost supervising the State council, Committee of ministers and his imperial majesty own office. The name Arakcheev was inextricably linked to the history of settlements that he organized by the order of the imperator. Since 1822 A.A.Arakcheev became the unique reporter of the emperor concerning state affairs. The introduction of punitive-guarding principles in all spheres of life of the society was the eclatant manifestation of the Arakcheevshina. In 1822 was accepted a law allowing landowners to banish serfs "for bad acts" to Siberia on exile. This decree crossed out the former interdictions (1809 and 1811) and became the apogee of the peasants legislation. The military settlements, being the new form of recruitment and maintenance of the army, were the symbol of the coming reaction in the country. Peasants, transferred to the position of 'military villagers', were supposed to join the military service in the area of agriculture. The government intended to reduce the cost of the maintenance of the army. The first settlements were founded in 1810, but the war of 1812 retained their further organization. Military settlements began to exist again since 1816. They were organized in Novgorod, Petersburg, Mogilev, Slobod-Ukrainian and Kherson provinces. The state peasants were transferred as immigrants with the whole districts. Together with them, were lodged the soldiers. The peasants log huts were removable; instead of them were put big houses for many families. The life of military immigrants was strictly regulated: in the first half of the day, they did the front service, and then began to cultivate. For the slightest fault, the immigrants were exposed to corporal punishments. Despite of the agitations of the peasants due to the introduction of military settlements, in 1825 to the settlements were transferred 375 thousand persons (1/3 of the army), composing the Separate Corps of the military settlements, under the command of Arakcheev. The last years of Alexander's I reign were gloomy for the country and burdensome for the emperor. The wreck of his reformatory hopes, the news about the discontent conservatives on the one hand, and about the occurrence of secret nobility societies of the future Decembrists for the side, and personal losses, turned him all over again to religion, and then to mysticism. In November 1825, the emperor unexpectedly died in Taganrog, leaving opened the question about his succession at the throne. According to the law of 1797, the successor of Alexander I was the eldest son of Paul I Konstantin. But in 1822, Konstantin, never having claims on the empire 'they will suffocate me as they suffocated my father," he said, gave to Alexander an official refusal of the rights to the throne. In 1823 the emperor made a special manifest about the designation of his third brother Nikolay as the successor, but he did not promulgate it, having kept it secret even from Nikolay. The manifest was kept in the Uspensky's cathedral of the Kremlin and only a limited circle of people knew about it; that's the reason of the inter-imperial situation, which rose up in December 1825. The Social and Economical Development of Russia in the 1st quarter of the XIX century. The social and economical development of Russia in the first quarter of the XIX century. Russia in the beginning of the XIX century was the greatest empire in the world, and its territory covered a significant part of Eastern Europe, Northern Eurasia, Alaska and Transcaucasia. The population of the country in 1801 was 37 million people, and by 1825, due to a natural increase and unification of territories, reached almost 53 million. The peasants, who made up more than 90%, were the overwhelming majority of the population. In 1801 in 583 cities and villages of Russia lived 2 million 400 thousand persons of Orthodox Belief (8,4 % of all inhabitants). The dominating estate of Russia (the nobility) ran to 225 thousand persons, or 0,5 % of the population of the country. At head of the government were about 1000 military and civil officials of the first four classes of "Tables of Ranks". The peasant population of Russia was 98,5 % and was divided into three groups: landowners', state and appanage peasants. In Russian villages there always was the property inequality, which resulted in social stratification of peasantry: there were well-off population and poor peasants. Besides noblemen, the clergy and the merchant class were also privileged estates (accordingly 215 and 119 thousand people). Handicraftsmen and the bourgeoisie, in addition to peasants, were a part of the class paying taxes, who made up to 50 % of inhabitants of the Russian cities. The military and agricultural estate of Cossacks occupied a particular position in the social structure of the society. The development of commodity relations influenced the social structure of the society. A rather specific type of Russian businessmen was formed. In the beginning of XIX century neither trading, nor industrial business could not play an independent historical role and act as an influential economic power. The state still controlled economics. The agriculture remained the main branch of the economy of Russia. Its technological level was rather low, and the growth of the production occurred basically due to the expansion of areas under crop. To increase their incomes landowners in black earth areas increased the corvee, in the non-chernozem areas - quitrent. 20% of the annual crop of bread was coming to the market. Along with grain crops, one of the major branches of the agriculture was the cattle breeding. In the industrial provinces manufacture of industrial crops (flax, hemp) gradually grew. Potatoes were more and more widespread. The distinctive feature of the Russian industry in the beginning XIX century was the prevalence of peasant homecraft. The large-scale industry and manufactories gradually developed and expanded. In 1799 in the country there were 2094 industrial enterprises (without mining factories), here worked 81,8 thousand people, including 48,2 thousand serfs and 33,6 civilians. In 1825 the number of enterprises was 5261, where worked 210,6 thousand, among them 96,1 thousand serfs and 114,5 thousand civilians. As a whole the industry in the first quarter of the XIX century was supported by peasants and orientated to execution of military orders of the government, instead of the market production. As a result in the metallurgy industry began the stagnation. If in 1800 Ural plants smelted 10,3 million poods of cast iron and outstripped England according to this parameter (8 million poods), in 1825 were smelted 10 million poods in Russia and 37 million in England. During a quarter of the century a gradual shift in the social structure of enterprises was seen: grew the number of hired workers, which productivity in 2-4 times was higher than that of serfs. Nobleman's business continued to develop. In 1813-1814 more than 50 % of enterprises with a number of workers up to 15 belonged to noblemen. In the glass industry they owned more than 80 % of all enterprises. The greatest success of the nobility was achieved in the distillation, as far as they had the monopoly in this branch since 1754. The development of cities in the first two decades of XIX century was very slowly: in 1796 city dwellers were 4,1 % of the population of the country, in 1812 they reached 4,4 %. A small town with a population less than 10 thousand people was the prevailing type of settlements in that period. The first quarter of the XIX century was marked by the development of the internal market, which main goods were bread, livestock products, homecraft products, textile. The basic commodity circulation occurred at fairs, which grew in number. In 1817 the first of them, Makarevskaya, was moved to Nizhny Novgorod and was called 'The Nizhny Novgorod fair'. In total in the European part of Russia in 1824 were registered 76 large fairs with volumes of goods more than one million rubles. In district and provincial cities fine store trade prevailed. There were few shops and they belonged to foreigners basically. Domestic trade in the first quarter of the XIX century had a much greater economic value, than the foreign one. The annual home trade, according to a contemporary, was 900 million rubles, and the foreign one 235 million rubles. The foreign trade of Russia in this period had the favorable balance: export exceeded import. The basic foreign partners of Russia were England (in 1802-1806 among each 100 merchants who exported goods from St. Petersburg 63 were Englishmen), Germany, France, China. 80-90 % of Russian export consisted of raw material and agricultural goods: bread, flax, hemp, bacon, wood and leather. Russia's joining to the continental blockade of England in 1807 caused a remarkable recession of its foreign trade turnover in 1808-1812. It adversely affected the economy and the finance of Russia. The growth of the national economy in many aspects was prevented by the poorly developed system of communication. The navigable rivers and channels played the basic role. The government undertook expansion of old and construction of new river channels. Foreign market entry of Russia was realized through the Black Sea and Baltic ports. The budgeted deficit inherited from the former regimes was one of the most important problems of Alexander's reign. In the beginning of the XIX century the sum of the external and internally held public debt of Russia was equal to its four annual budgets and constantly increased. In 1809 Speransky elaborated a financial reform; the government stopped emission of new banknotes, sharply reduced state charge, sold a part of state manors to private persons and introduced new taxes, which touched all layers of the population. These actions gave positive results: in 1812 public revenues increased from 125 up to 300 million rubles. At the same time the accepted measures caused an extreme discontent of the population, especially of the nobility that was compelled to pay the levy on manors. The reform curtailed. After the war of 1812-1814, which cost to the state a sum more than 900 million rubles, the rate of paper ruble fell to 20 kopecks. By the end of 1825 the market was flooded with banknotes, emitted to cover the growing budgeted deficit. The value of paper banknotes was low, and there was no firm money rate. The main income of the state came from capitation tax and quitrent and other taxes (on alcohol, most significant, on salt and customs duties). Because of the shortage of home income the government was obliged to make loans of bankers of London, Amsterdam, Paris. Among charge the military ones were the largest, over half of the annual budget. The first years of Alexander's I reign were marked by a remarkable revival of the public life. Actual questions of the internal and foreign policy of the state were discussed in scientific and literary societies, student and teacher's circles, in high society and Masonic lodges. The attitude towards the French revolution, serfdom and autocracy were in the center of public attention. Permission for private printing houses, import of books from abroad, and the acceptance of the new censorial regulations (1804) had a significant effect on further dissemination of ideas of the European Enlightenment in Russia. Enlightening tasks were set before I.P.Pnin, V.V. Popugayev, A.Kh. Vostokov, A.P.Kunitsyn, who created in St. Petersburg the Free society of amateurs of literature, sciences and arts (1801-1825). Being under the influence of Radishev's ideas, they translated works of Voltaire, Diderot, Montesquieu, they published articles and literary works. The majority of Russian enlighteners considered necessary to reform the autocratic system and to cancel the serfdom. However they were only a small part of the society. The basic mass of the nobility and officials was conservative. Views of the conservative majority were shown in "Note about ancient and new Russia" of N.M.Karamzin (1811). The Patriotic war of 1812 and the campaigns of the Russian army played a decisive role in the development of the national morale. Under the influence of external events of 1812-1815 the country experienced a great patriotic raising; hopes for great reforms revived in people, who waited for better life but never succeeded. First disappointed were the peasants. Heroes of the war, saviors of Motherland, they came back home and again got under landowners' yoke. They hoped to receive freedom, but from the royal manifest on the occasion of the victory over Napoleon (1814) they heard: "Peasants, our loyal people, you will receive your recompense from God". The disappointment of people about their hopes resulted in the peasant revolts, the number of which sharply increased after the war. During the quarter of the century there were about 280 revolts, and approximately 2/3 of them happened in 1813-1820. The discontent grew in the army too, formed of recruited peasants. No less than 15 open riots of soldiers took place during 1816-1825. The rebellion of the oldest guards Semenovsky regiment, commanded by the Emperor himself, was an unheard event in the imperial army. In October 1820 soldiers of the regiment, driven to despair by severe oppression of their commander F.E.Schwarz, lodged a complaint against him and refused to obey officers. According to Alexander's I personal instruction, nine of the "most guilty" were made run the gantlet and exiled to Siberia, the regiment was disbanded. significant part of the society were more and more dipped into religious and mystical moods. The original manifestation of this phenomenon in the public life of Russia during the post-war period was the activity of the Bible society created at the end of 1812 and by 1816 received a officious character. Its president, the chief of the foreign creeds' religious affairs, and later the minister of religious affairs and national Enlightenment A.N.Golitsyn, played a great role in the activity of the Bible society. The basic goal of the society was the translation, edition and distribution of the Bible among the population. From 1813 till 1823 in Russia were distributed more than 500 copies of the Bible and the New Testament in more than 40 languages, in 1821 by efforts of the society for the first time was issued the New Testament in the Russian language. However, among members of the society, basically aristocrats, ideas of mysticism were widely propagated. Golitsyn promoted the edition and distribution of books of mystical content, protected various mystical sects, acted for unification of Christian creeds. All this displeased many hierarchs. In May 1824 prince Golitsyn was disgraced, Alexander I grew cool towards the society and in April 1826 it was liquidated.